Recently we announced the winner of the first edition of the DesignWinMake contest, Mirko Carsana (article in Italian). We're now launching the second edition, a challenge based on Open Hardware that is open EU-wide. The chips that are changing our life, from Arduino to OpenPicus, are protagonists of this challenge for designers Europe wide: reinterpret an extant object and give it new intelligence and functionality thanks to open-source controls. The full contest rules and regulations are available on the website www.designwinmake.it, and the contest is open June 8 to September 9, 2013. Don't wait until the last minute - get started right away with your ideas! For inspiration, we asked Enrico Bassi, president of FabLab Torino and member of the jury of DWM, what it means to work with open hardware: “It means giving people the opportunity to modify things they already use, make information accessible. Open projects always are accompanied by tutorials and information to make them accessible and easy to use by others. Our goal is not to sell but to share with the community." To the question "how has the world of design responded to this technology" he says that "at first, predictably, it was not positive. In fact, the first reaction was indifference and lack of interest - it's a game! - followed by a bit of fear - will this take away our work? - and now some companies are starting to develop interesting collaborations with Makers using these chips." What are the characteristics of a Maker for Bassi? "Believe in sharing and collaboration, with passion." 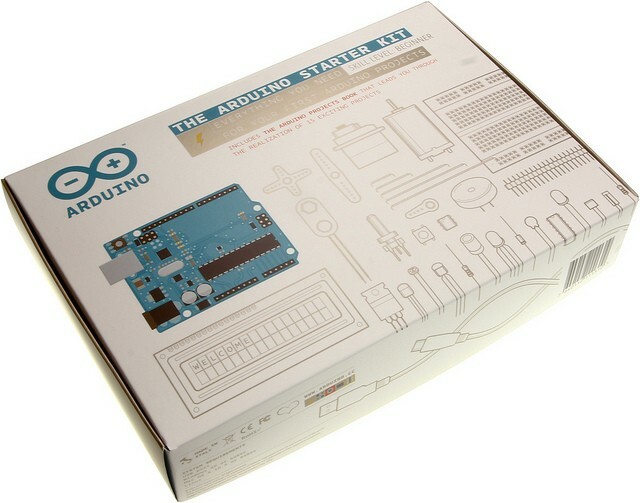 On the occasion of the contest launch we have opened the section of our store dedicated to Open Hardware where you can buy the main Arduino chips, including the very useful Starter Kit, as well as chips by OpenPicus. Buy one now and get making!